(TORONTO: October 29, 2010) Ten works by four contemporary Canadian artists will be joining the collection of the Art Gallery of Ontario after an evening of important acquisitions at the annual art fair's Opening Night Preview. Four works by Kingston-based artist Mike Bayne, four works by Montreal-based artist Adad Hannah, and a work each from Toronto-based An Te Liu and Vancouver-based Ron Terada were purchased with funds raised at the preview, a benefit for the AGO. "We were thrilled with the number of outstanding works by emerging and established Canadian and international artists at Art Toronto 2010," says David Moos, AGO curator of contemporary art. "The ten works we selected stood out for their ingenuity, clarity, and the individual vision of the artists who created them, and we're pleased that three of these artists will be represented in our collection for the first time." 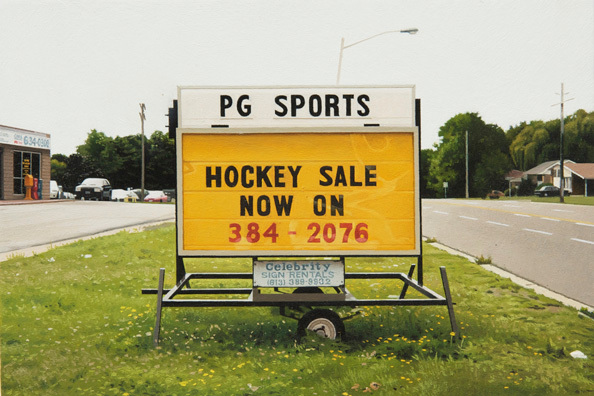 The four works by Mike Bayne comprise his 2010 series Gold, Shelter, Oil Paintings and Hockey, small scale photo-realistic paintings depicting signage in suburban landscapes. The four works by Adad Hannah are video-recorded tableaux vivants of models holding poses for extended periods and are drawn from his 2010 Traces series. The work by An Te Liu is a 12" x 129" neon sign titled Ennui Blanc, which was commissioned for Out of Sight, an exhibition that ran concurrently with Toronto's Nuit Blanche 2010. The work by Ron Terada, titled Jack, is an acrylic-on-canvas painting titled for Montreal-born painter Jack Goldstein, and is one of 11 canvases onto which Terada painted the text of a full chapter of Goldstein's volatile memoirs. Jack is the second work by Terada to enter the AGO's collection. The AGO's selection committee comprised Moos, AGO associate curator of contemporary art Michelle Jacques, AGO executive director of curatorial affairs Elizabeth Smith, and contemporary committee chair Jay Smith, in consultation with the contemporary committee. This is the fourth time in Art Toronto's eleven year history that the AGO has made acquisitions using funds raised at the annual event. Over $280,000 net funds were raised at the Opening Night Preview to support the acquisitions and the Gallery's operations and education programs. Mike Bayne was born in 1977 in Ottawa, Ontario. He has drawn wide-acclaim for his small-scale photorealistic oil paintings, and his work has been exhibited in Toronto, New York, Chicago and Vancouver in solo and group exhibitions. He received his BFA from Queens University in Kingston and his MFA from Concordia University in Montreal. He lives and works in Kingston, Ontario. Adad Hannah was born in New York in 1971, and grew up in Israel, London, and Vancouver. 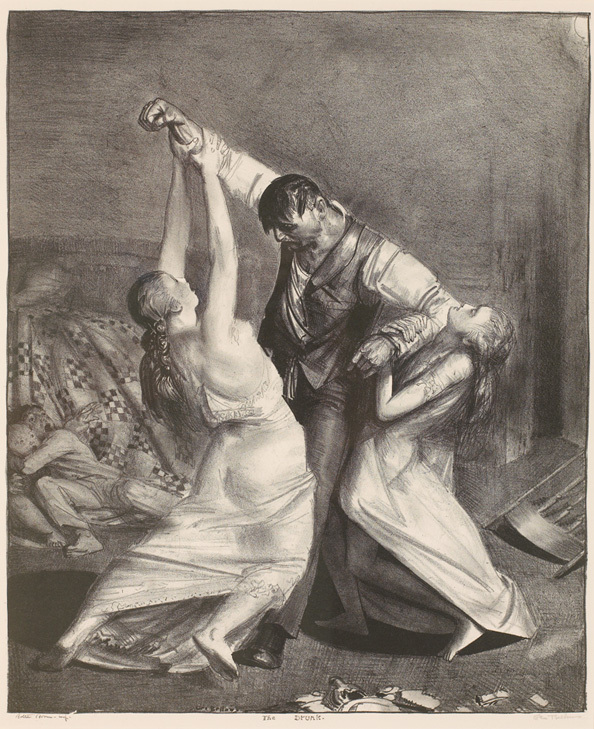 His works have been exhibited at such institutions as the National Gallery of Canada, the Vancouver Art Gallery, and the Rodin Gallery in Seoul. Works by Hannah are part of the collections of the National Gallery of Canada, Musée d'art contemporain de Montréal and the Ke Center for Contemporary Art, Shanghai, among others. He lives and works in Montreal. An Te Liu was born in 1967 in Taiwan. His work has been exhibited Künstlerhaus Bethanien, Berlin, the Art Institute of Chicago, the San Francisco Museum of Modern Art, the Canadian Centre for Architecture in Montreal, Mercer Union, the Contemporary Art Gallery (Vancouver), Artists Space (New York), and the Witte de With Center for Contemporary Art (Rotterdam). Liu's work is included in the permanent collections of the San Francisco Museum of Modern Art and The Art Institute of Chicago. He lives and works in Toronto. Ron Terada was born in Vancouver in 1969. His work has been exhibited at the Contemporary Art Gallery, Vancouver; the Art Gallery of Ontario; the National Gallery of Canada; the Witte De With Center for Contemporary Art (Rotterdam); the Vancouver Art Gallery; Musée d'art contemporain de Montréal. His work is part of the collections of the MoCA Los Angeles and the Musée d´art contemporain de Montréal and the Vancouver Art Gallery, among others. He lives and works in Vancouver. With a permanent collection of more than 79,450 works of art, the Art Gallery of Ontario is among the most distinguished art museums in North America. In 2008, with a stunning new design by world-renowned architect Frank Gehry, the AGO opened its doors to the public amid international acclaim. Highlights include Galleria Italia, a gleaming showcase made of wood and glass running the length of an entire city block along the Gallery's façade; and the feature staircase, spiraling up through the roof of Walker Court and into the new contemporary galleries above. From the extensive Group of Seven collection to the dramatic new African art gallery; from the cutting-edge works in the Vivian & David Campbell Centre for Contemporary Art to Peter Paul Rubens' masterpiece The Massacre of The Innocents, a highlight of the celebrated Thomson Collection, there is truly something for everyone at the AGO.